Meet the tour leader outside Bank Muscat, Al Hamra, where the bike tour to Bahla and Jabreen starts from. We’ll start off at an easy pace as we begin cycling towards Bahla. The path is even and we’ll traverse through smooth roads and some off-road paths. After reaching Bahla, we proceed through the labyrinths of narrow roads in the city to visit the Bahla Fort and the pottery souk (marketplace). 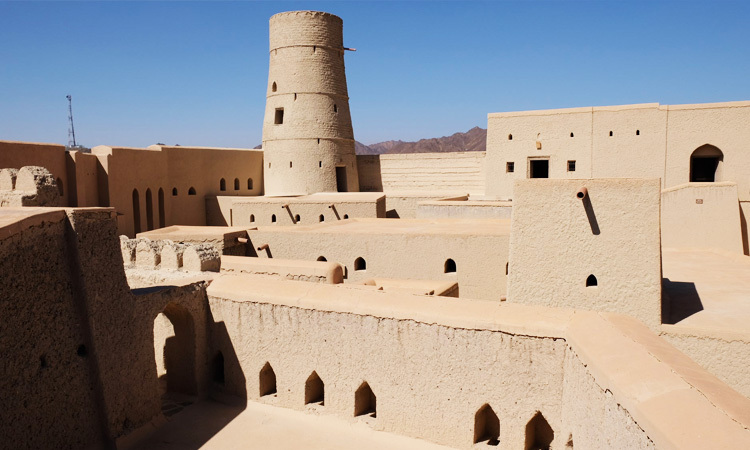 The Bahla Fort and surrounding settlement is a UNESCO world heritage site which showcases the heritage and history of Oman. Then we’ll continue towards Jibreen Castle. This beautiful castle was built in the 17th century and has been restored to highlight the stunning architecture and decor of the time. This tour ends at Jabreen Castle and the transportation can be arranged to the hotel or the starting point. Surrounded by the desert wilderness we cycle through lonely paths to find a lush oasis in the middle of the dry and dusty lands. 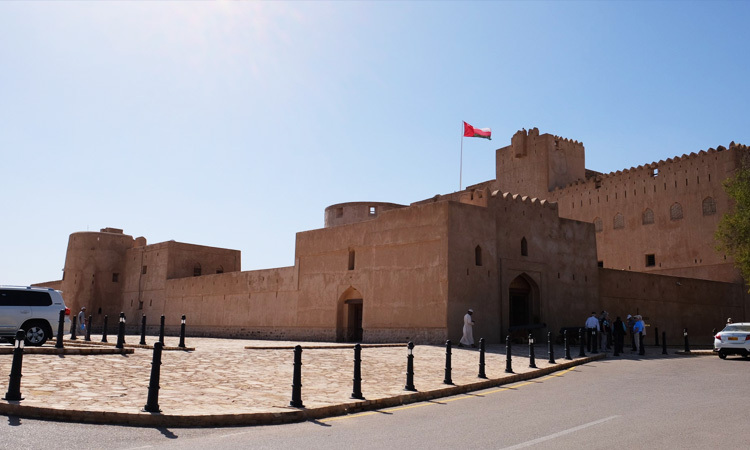 Starting from the Bank Muscat early morning, you and your biking guide will pedal your way through back lanes and alleys to reach the destination. 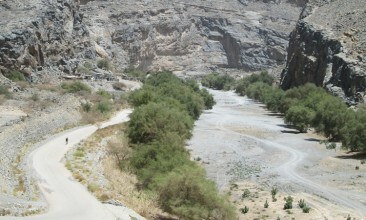 Once you get out of the city the real pleasure of the Oasis Biking Tour begins. Cycling at a leisurely pace we take quiet pathways where all you may meet are birds, and a few camels and maybe a lizard or two. Pedalling on under the shade of palm trees you can explore an ancient village and experience the heritage of Oman and learn more about its history here.